First and foremost I would like to take this moment to give our Creator all the praises and glory for the opportunity to experience life as a life amongst other lives. With that being said, this gift comes with rewards that we must earn. In other words, life is free, the rewards comes at a cost. Although this may be the case, obtaining these rewards are easily obtained than believed to be. And it is my hope that by the end of this read, you’ll get a better understanding of the processes required to receive all that it is you desire. Along my journey I’ve come to understand there are a number of actions we must put into practice as we go about our moments. Whether those moments are measured in seconds, minutes, hours, days, weeks, months or years, every moment of our existence are being created through the execution of our actions. While many of us are completely aware of the aforementioned, struggle still rears its ugly head and we miss — we sin (miss the mark). So how can we stop missing the mark and live a more fulfilling and abundant life? Since coming to understand that life is easily enjoyed by realizing that life is full of lessons that needs to be learned first before I’m able to gain God’s rewards. And that by ‘Passing’ the ‘Test’ our rewards will be ours. However, like in school, we know it’s a test that we are partaking in but we have no clue what the test’s about. Same with real life. For instance, think back to a time when something didn’t turn out the way you had desired them to be and what do you find yourself saying? “Lessoned learned”. Right? Now let me ask you this, what was the lesson you learned? If your lessons learned is expressed with regrets, distaste and/or animosity, you have not learned your lessons because you’re still in lack of one thing or another. However, if you’ve found that you need to be more of what you expect from others, THEN YOUR LESSON HAS BEEN LEARNED. After determining where in life you must improve yourself, it’ll be time to put what you’ve learned to a test. And how does that test come about? Through your interactions with us! If you can PUT into PRACTICE what you’ve learned and committed to change within, without unknowingly/unconsciously reverting back to your prior ways, YOU HAVE LEARNED YOUR LESSON AND PASSED THE TEST! 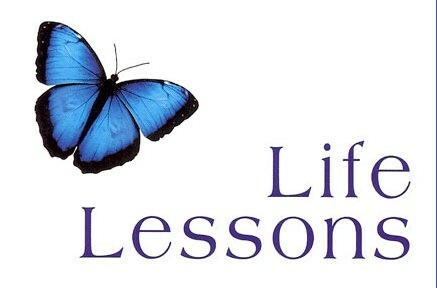 How many times have you thought you learned a life’s lesson just to realize you have not? Leave your response below!